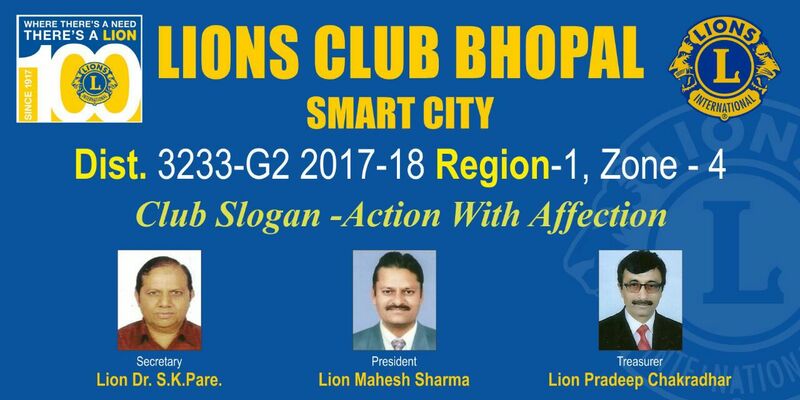 Lions Club Bhopal Smart City Was Chartered On November 2016 .We started our club by 35 charter members ,as time pass our club strength is also increased . Presently our club working with 41 lion members, out of them we have 22 lady lion members , which is highest lady membership in the district 3233 G 2 .we also recogenised in multiple for this in year 2016 -17. Our first club president was lion nirmal kumar. Our club " lions club Bhopal Smart City " has complited its first year very succesfully and achieved two awards from Multiple district and many awardes from our district 3233 G2 from our beloved district governor Lion Balbir Singh Shahni .